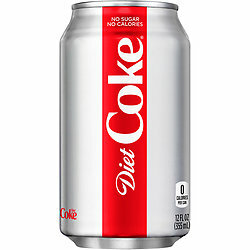 Diet Coke Product 12 oz Cans. Comes in a 12 pack of 12 oz cans. Enjoy these favorites in the Diet Coke line up. Looking for More Coca Cola Can Products? Click Here ! !